Located on the Leslie Street Spit, Tommy Thompson Park (TTP) is Toronto’s prime birding hotspot. There is no better place to experience the city’s migratory birds as they head north after spending the winter in warmer climates. 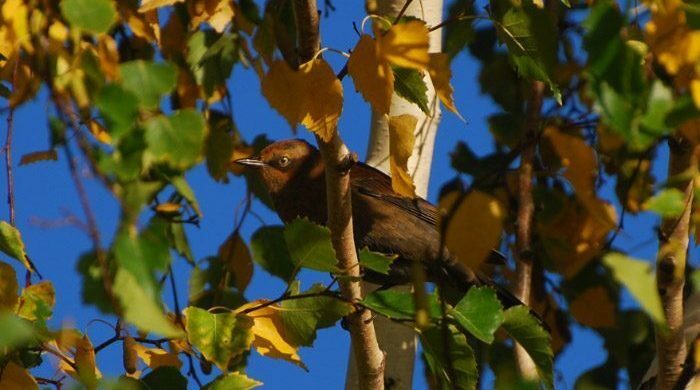 As a follow-up to the Young Birders’ Club in the park, keen young birders are invited to join our new, more advanced, group: Bird Spotting Club! 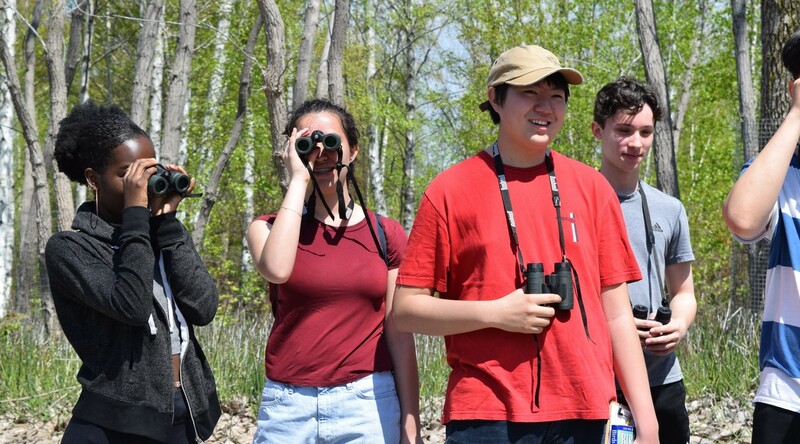 The Bird Spotting Club is for 12-16 year old youth who are keen birders and have the experience, patience, and calm required to appreciate TTP’s prime birding spots and observe bird behavior. The group will be led by expert birder, Emily Rondel, who will share her knowledge and skills. This group will have a maximum of 8 participants in order to ensure minimal disturbance to the wildlife. Some sessions will include visits to the Tommy Thompson Park Bird Research Station to learn about research being done, and with luck, to see songbirds up close during the monitoring process. Mostly however, sessions will focus on exploring such park areas as the lighthouse tip, Pipit Point, the Wet Woods, and the wetland cells. Sessions will involve a significant amount of walking. Binoculars are provided for those who may not have their own. We encourage young birders to attend all three sessions if possible, however if this isn’t an option, we look forward to having birders present at the sessions you can attend! Two of our sessions will be on bikes, and one on foot. Participants are to bring their own bicycles and helmets. Rain date: Our sessions will be proceeding when the weather is good for birding (ie. not raining). In cases of rain, we will reschedule our session for June 2nd. Refunds will not be issued if we need to reschedule to June 2nd. Please contact Raja Raudsepp with any questions at rraudsepp@trca.on.ca or 647.505.9960.